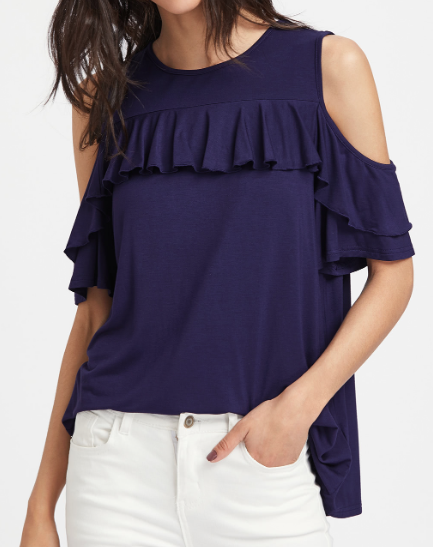 This open shoulder ruffle tee has a crew neck with the flirty cold shoulder appeal. 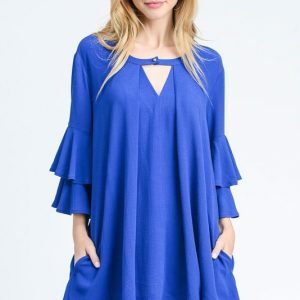 In solid navy, this soft and supple tee of cotton polyester and rayon blend drape the body in comfort. 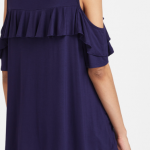 The detail open shoulder ruffle cascades through the front and arms of the tee to adorn and compliment. 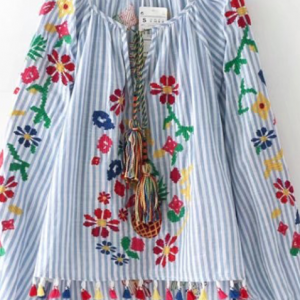 This tee can be worn with jeans or a skirt to give it a versatile look that is wearable in the warmest or coolest of climates. 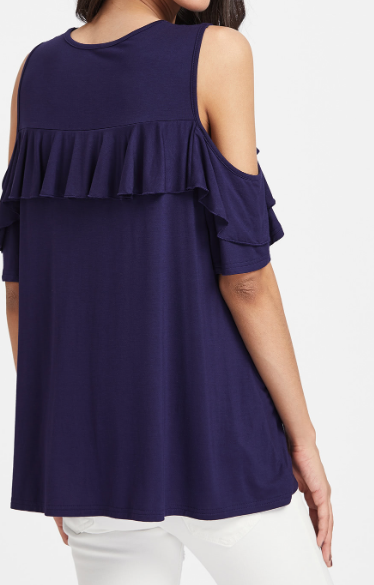 Drape a jacket over the shoulders of this open shoulder ruffle tee and go! Imported.